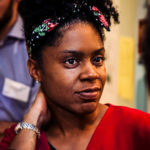 Iesha Small is senior associate at LKMco who also teaches maths in a secondary school in Hertfordshire. She has extensive experience as a middle and senior leader in schools. not always have the same opinion as to what makes a good personal statement and that this affects pupils chances of getting into top universities. As someone who line manages my school’s sixth form this worries me. Writing a personal statement is an alien process for many students, and teachers are therefore a crucial source of advice. Given that so much hangs on a personal statement, I would therefore argue that universities should do more to train teachers to understand what’s needed. I believe in equality of opportunity for people of all backgrounds, yet students whose parents and grandparents went to university can often draw on networks of friends and family for advice: they may well know a real-life lawyer, engineer or philosopher. In contrast, students who don’t have that network are far more dependent on their teachers. Teachers therefore need to know what universities are looking for when admitting students. Coverage of the report was predictably critical of teachers, focusing on where they got it wrong. Far fewer articles spoke of some universities’ failure to communicate their expectations. If universities – especially Russell group ones, are serious about widening participation, they ought to liaise better with schools, particularly when it comes to helping them write good personal statements. This is especially important for schools and 6th forms with a poor history of students attending elite institutions. Exam boards have run training courses for teachers led by examiners for a long time so that they can advise on what they’re looking for. Each year detailed examiners’ reports state what students did well and what they needed to improve on. Teachers act on this and prepare students accordingly. Why shouldn’t the same be done when it comes to personal statements? Training sessions could be run by admissions officers and give examples of strong personal statements with explanations of what makes them good. These could run onsite, with teachers travelling to the university; or via webinars and could be particularly targeted at schools and 6th forms with low historic participation levels. To widen participation further, heads of 6th forms and their colleagues could be invited on ‘train the trainer’ type courses (a common model used by organisations such as Stonewall to ensure training is cascaded). Staff could then be accredited by universities (or UCAS) to deliver training in their local areas. Perhaps this would need to be refreshed every few years to make sure their knowledge was up to date. Some will balk at such an idea: “a spoon-fed personal statement is no longer personal” they might say, or, “we may as well write the statements for them”. To these critics I respond that it’s simply leveling the playing field. Ultimately it’s simply a formalised version of the ‘higher quality support’ that more advantaged students routinely receive from school and family networks anyway.